The sacred Lakota Sundance is far more than an event or happening. 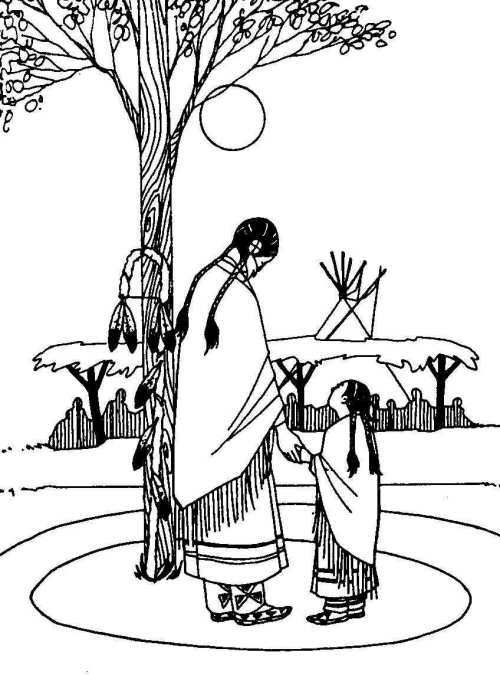 It reaches deep into the soul of Lakota family. It is the most sacred of all the Lakota Sioux spiritual rituals. by the individual Lakota Sundancer or thier perspective family members. that I have recieved along the way as a Lakota man and a Sundancer. Respect of the sacred ways of the Lakota Sioux is of great need and importance and least to say entitlement. raise cultural awareness and understanding of the Lakota way of being. that we still live each and every day of our lives as Lakota people. and in no way ever would there be an intention to upset or offend anyone. The sacred Sundance is not a pow wow or a party or a BBQ event. in which the sacred Sundance ceremony is conducted. The Sundance is not a mans club or a womans club but a family and community unified prayer. Which does include fellowship and sharing, teaching, learning, giving and recieving. as well as the individual who may not have living family or is a loner. that hang out together on weekend nights at favorite gathering places.